Lissy Elle Laricchia: Defying Gravity (2012). Image courtesy the artist. Given the Magenta Foundation’s mandate of promoting the work of emerging photographers from Canada, the U.S. and the U.K., it is about time that an issue of our magazine is devoted to photography. I’m very pleased to write that our first Photography Issue also kicks off our fourth year of publication. The contents you’ll find here bring together the work of photo-based artists who illustrate the depth and breadth of photography today. 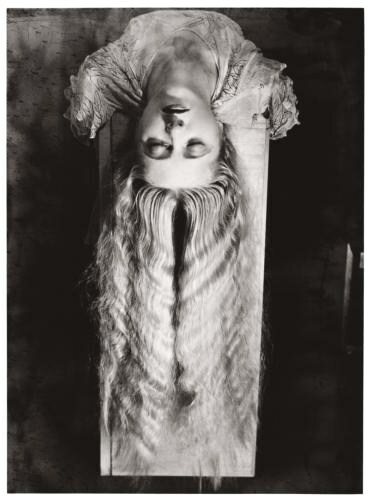 Man Ray: Woman with Long Hair (1929).Since its invention in the late-18th Century, photography has altered the way we view our world and ourselves. As the 20th Century progressed, photography expanded well beyond its original documentary and commercial functions, with pioneering photographers like Man Ray, Paul Outerbridge, Lee Friedlander, Diane Arbus and Garry Winogrand producing work that challenged the notion that photography wasn’t on a par with other fine art forms like painting and sculpture. Today, photographers like Cindy Sherman, Jeff Wall, Thomas Struth, Candida Hofer and Wolfgang Tillmans are among the most important, sought-after and acclaimed artists working today. In Canada, we have a rich history of conceptually based photography arising out of Vancouver in the early-1970s, starting with artists like the aforementioned Wall, as well as photo-based artists like Suzy Lake, Barbara Astman, Michael Snow and John Massey in Toronto, and culminating today in the rigorous and thoughtful work of younger practitioners like Jessica Eaton, Emanuelle Leonard, Noel Rodo-Vankeulen, Annie MacDonnell, Elaine Stocki, Chris Curreri, John Monteith, Karin Bubas, Jim Verburg and Althea Thalberger (just to name a very few off the top of my head). 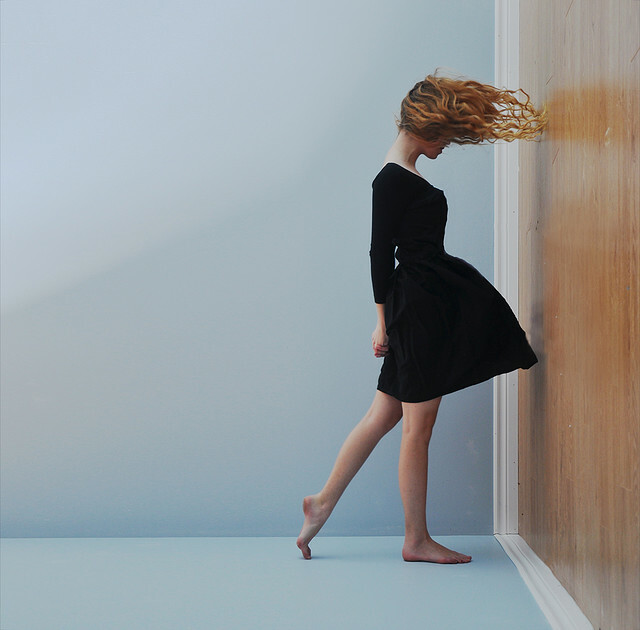 Defying Gravity (2012), by the young Canadian image-maker Lissy Elle Laricchia, was chosen as the signature photograph for the Magenta Foundation’s Flash Forward Festival exhibition and festival in Toronto last fall and in Boston later this spring. The image embodies much of what makes us at Magenta so passionate about photography. Not only is it an eerily arresting image that draws on the history of Surrealism (the figure's cascading hair reminded me of Man Ray's photograph Woman with Long Hair) and artists’ representations of themselves, but it transports us to a magical world where anything is possible. We hope you are transported by some of the photographic visions featured in this issue, and we look forward to bringing you our first “Ones to Watch” issue this summer.